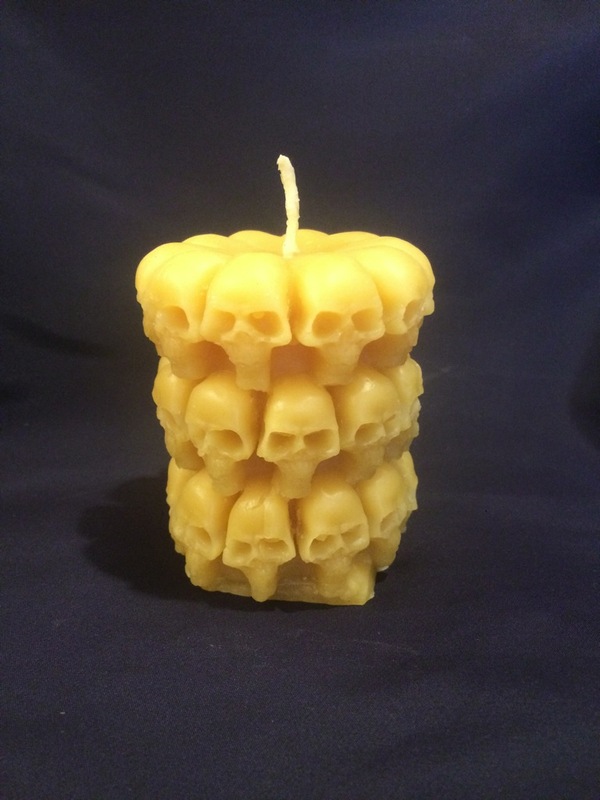 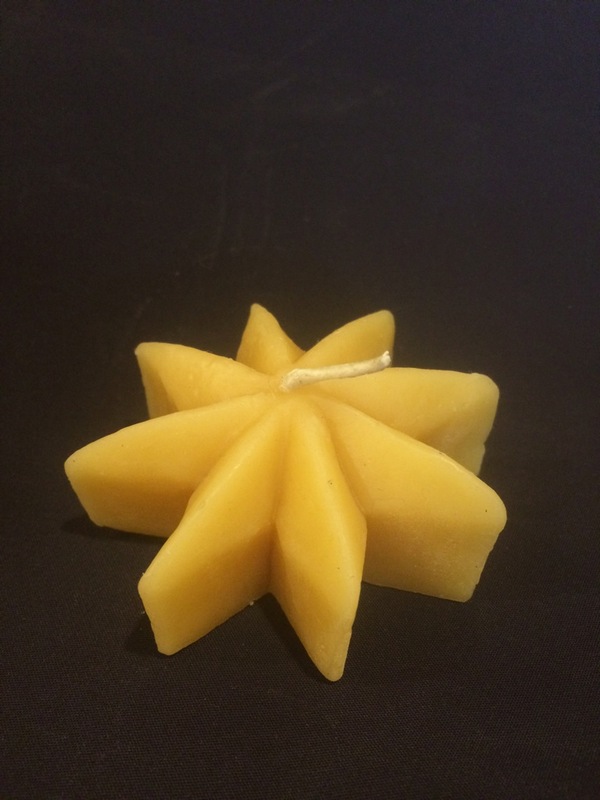 This candle is 2” by 7.75” and weighs 9.2 ounces and will burn over 50 hours. 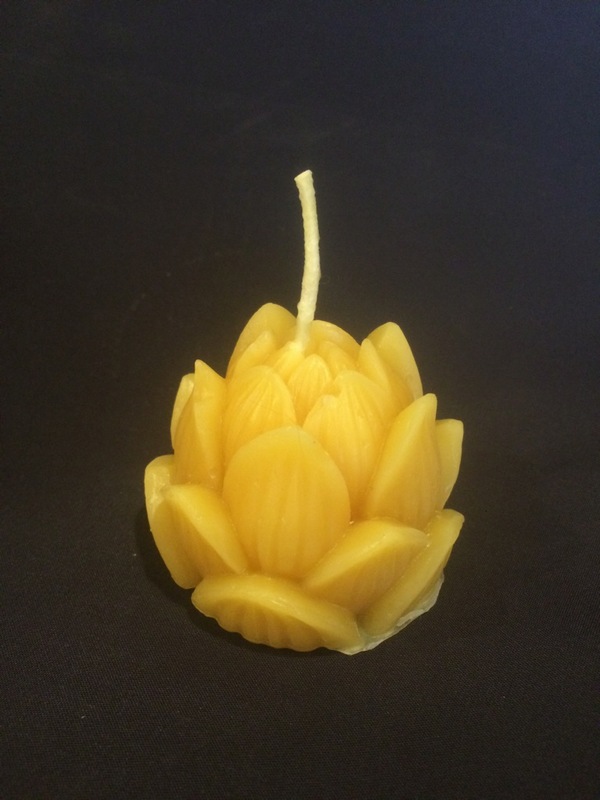 This candle looks and smells good enough to eat. 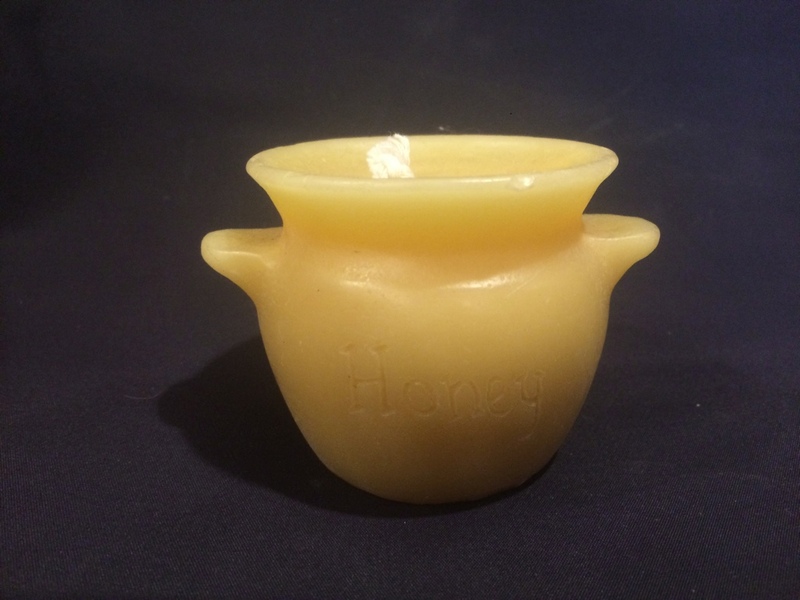 It measures 2 3/4” round and weighs 6.4 ounces. 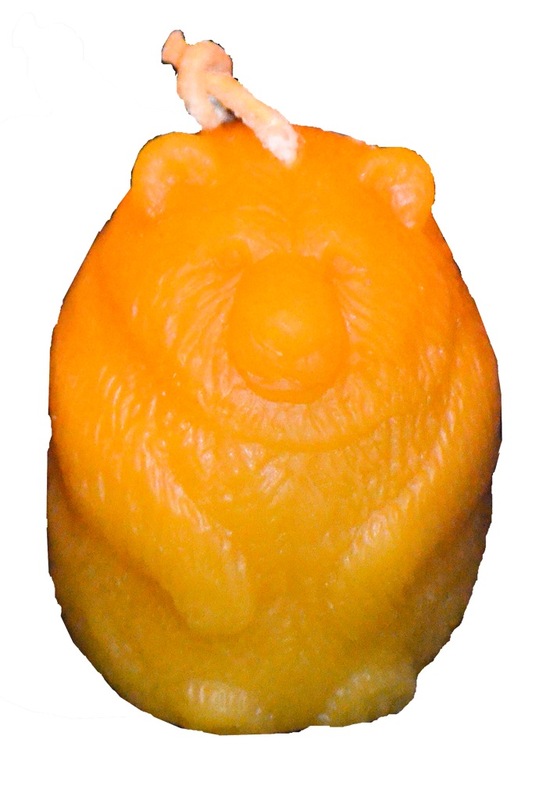 This cute bear votive measures 2 1/8 by 1 3/4 and weighs 2 ounces. 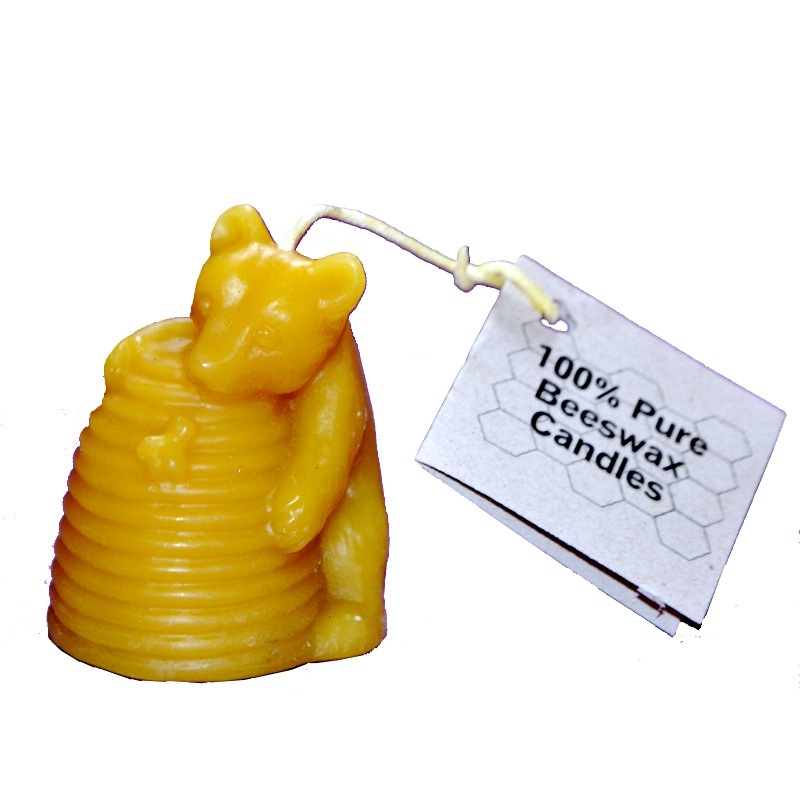 This cute bear is trying to rob the beehive skep of honey. 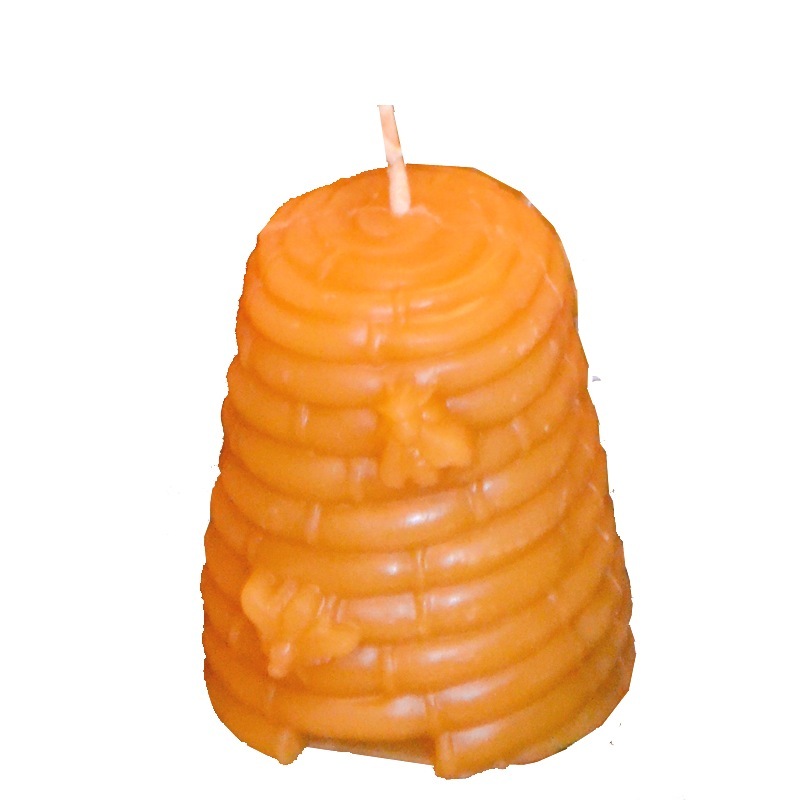 It measures 2 1/4” by 2 3/4” and weighs 2 ounces. 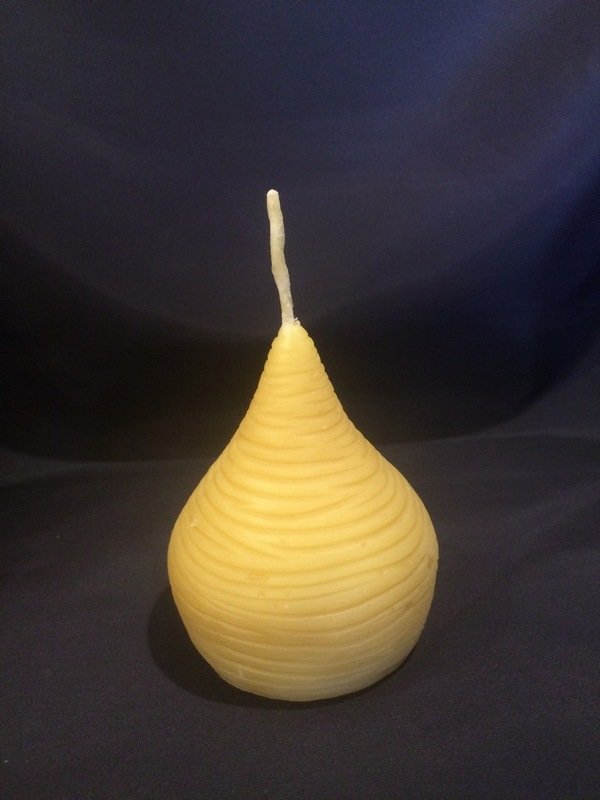 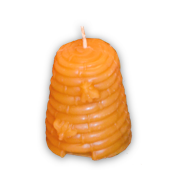 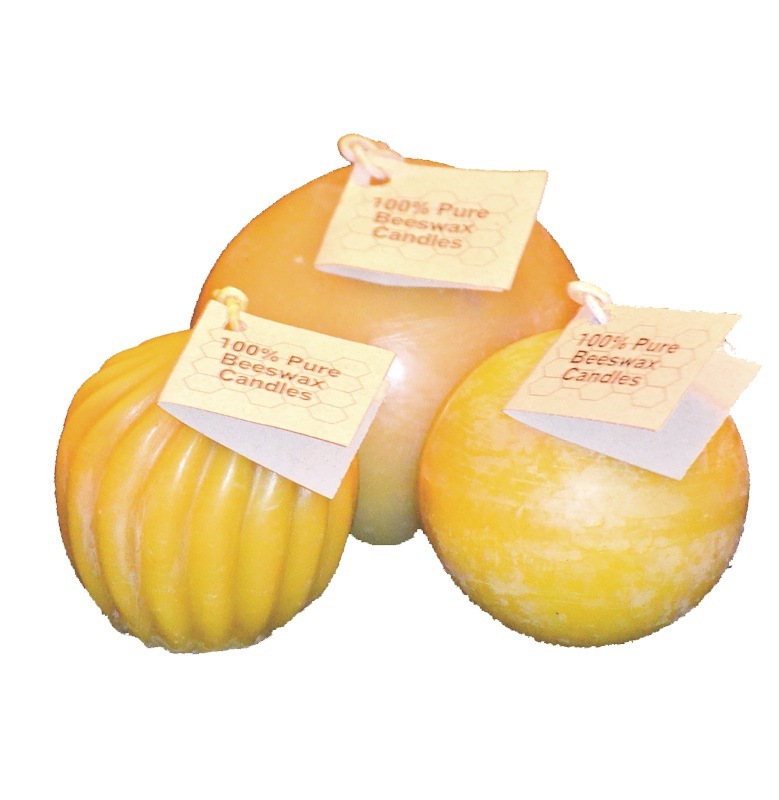 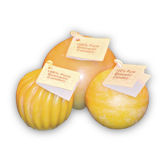 This beeswax skep measures 3” by 4.25” and weighs 9 ounces. 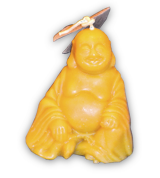 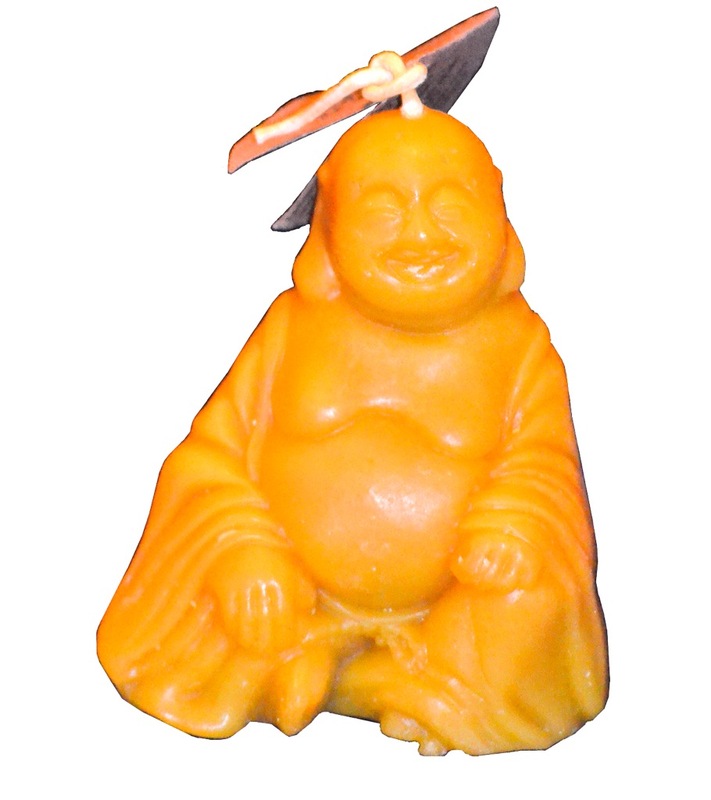 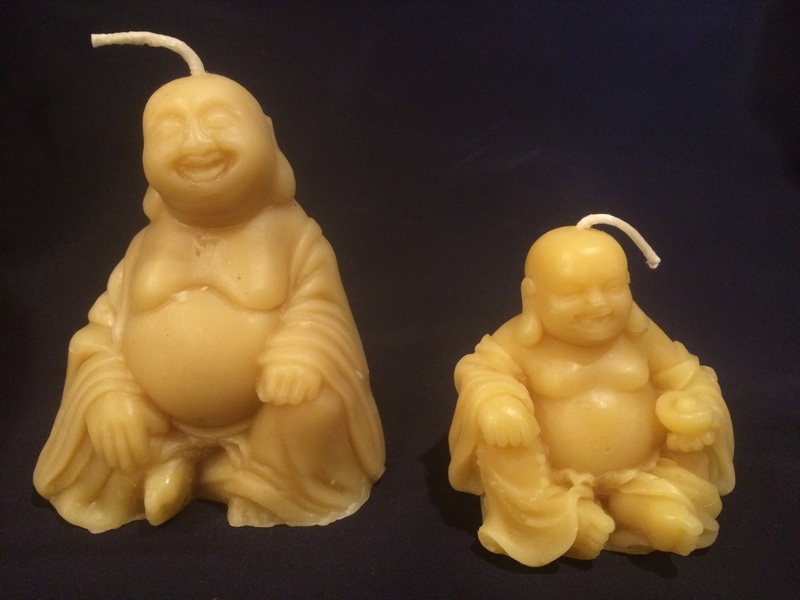 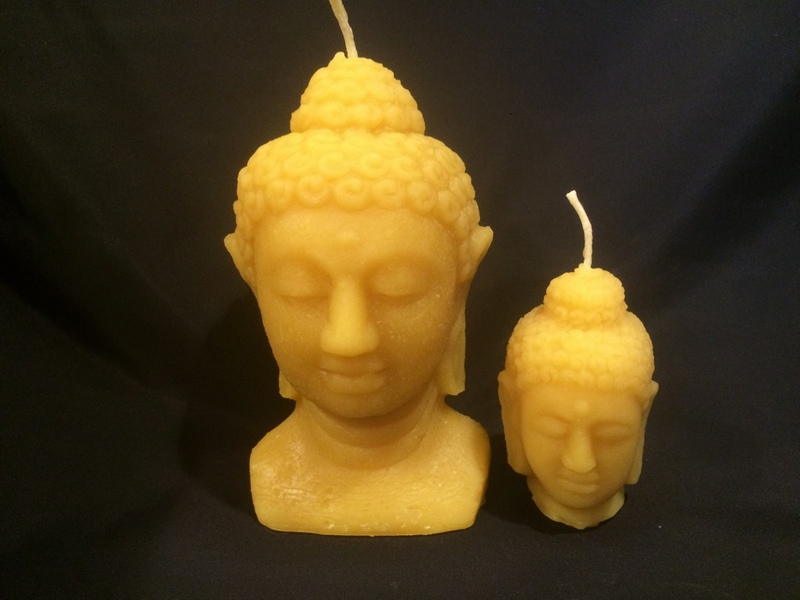 Buddah measures 4 by 4 1/2” and weighs 8.6 ounces. 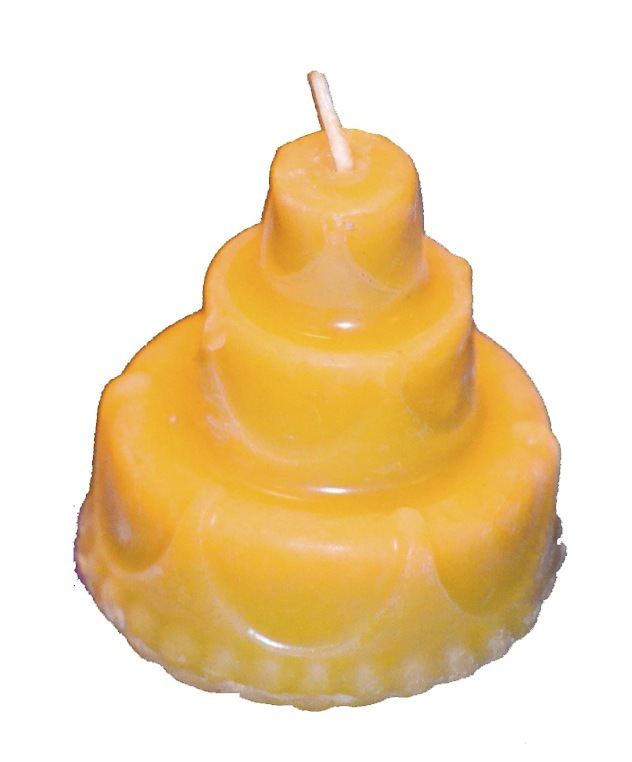 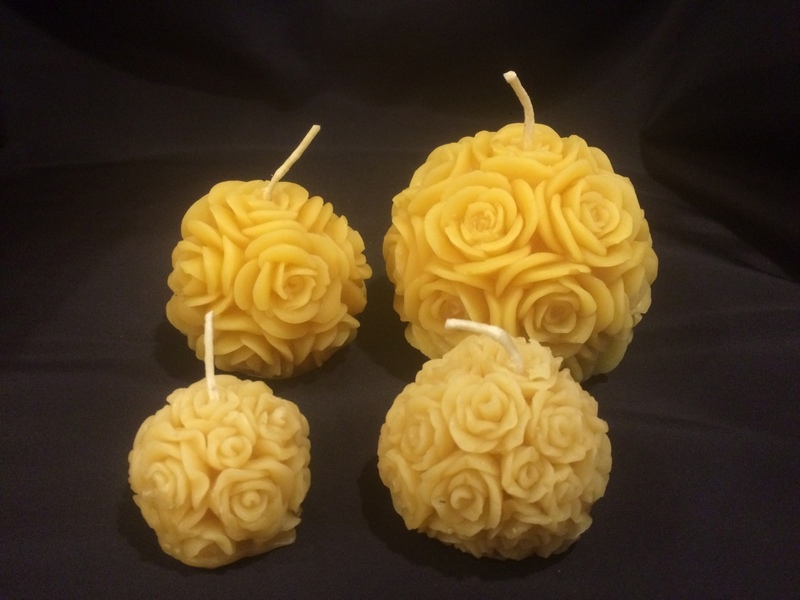 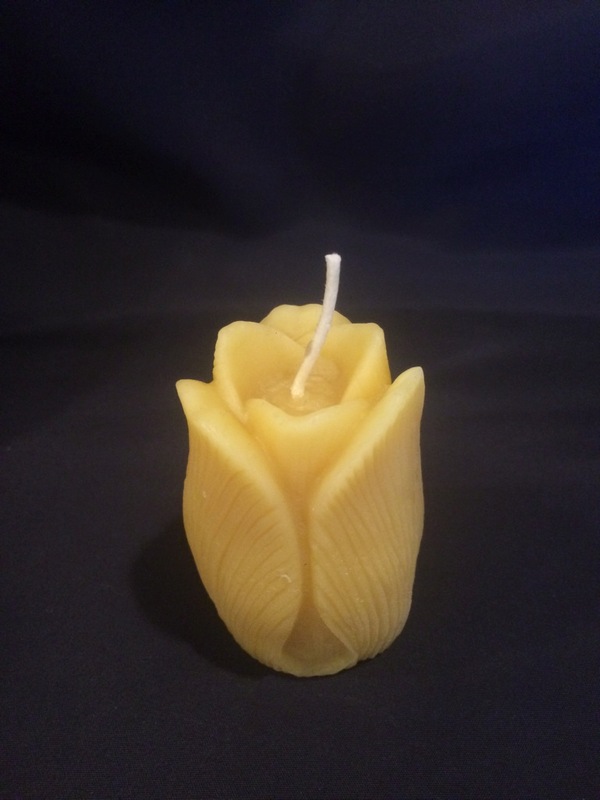 Traditional floating rose candle. 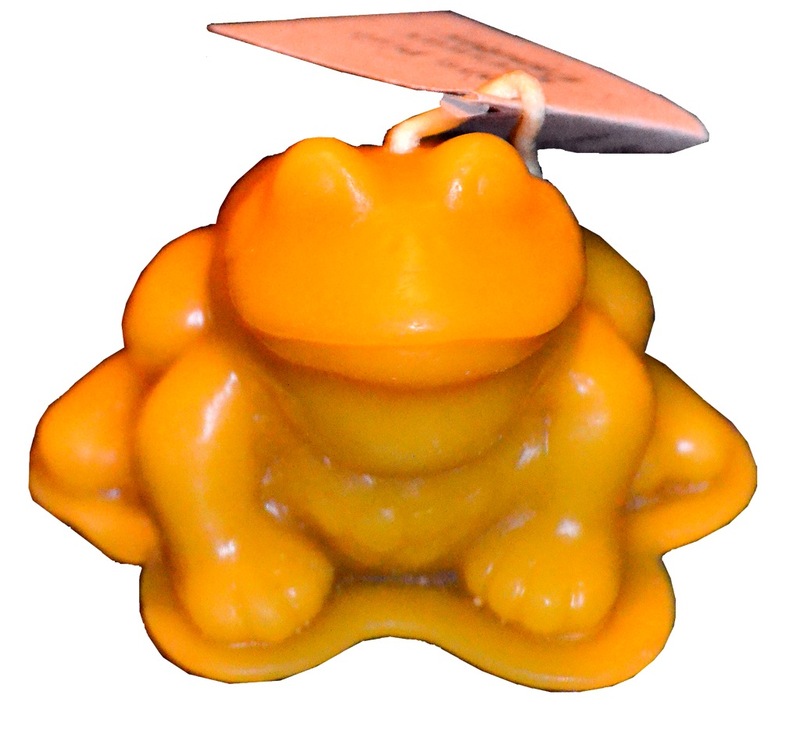 Great for the bath or to use in a bowl of water providing extra safety. 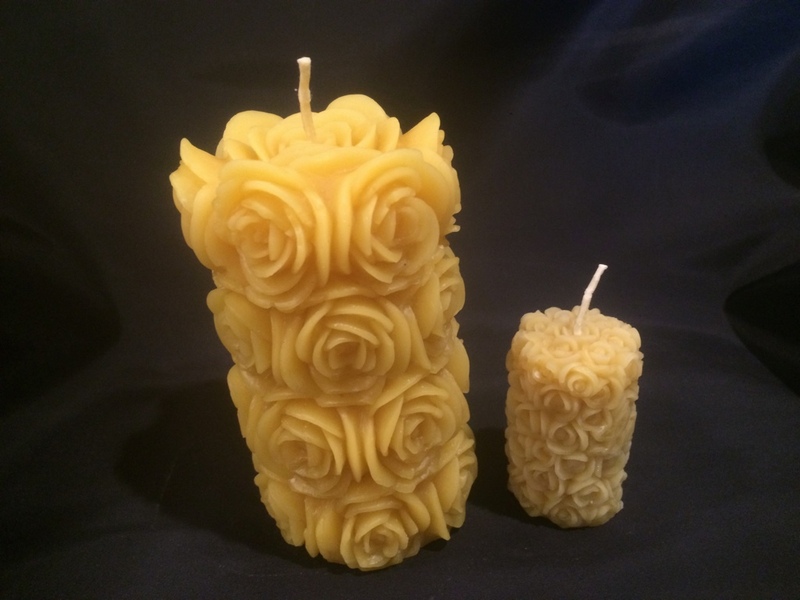 This candle is 3” by 5” and weighs 5 ounces. 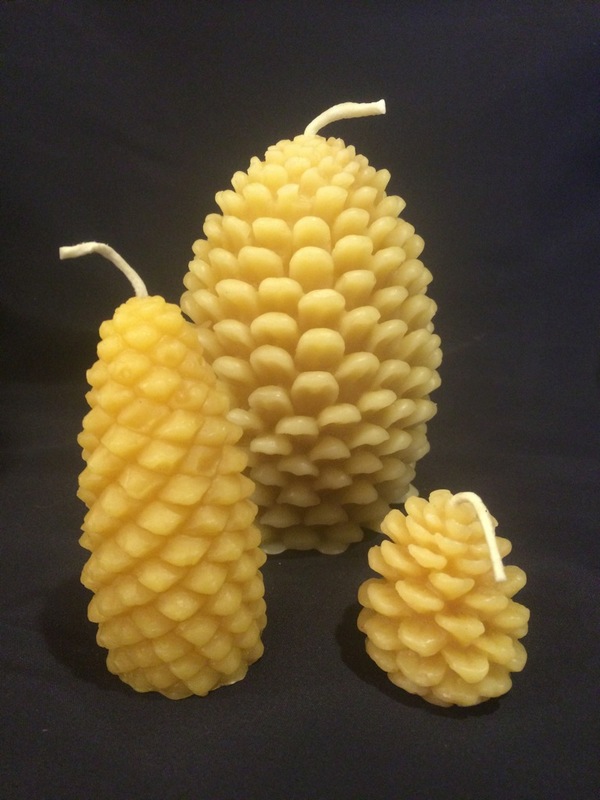 The Large Pinecone is 14oz of wax it burns for about 120 hours. 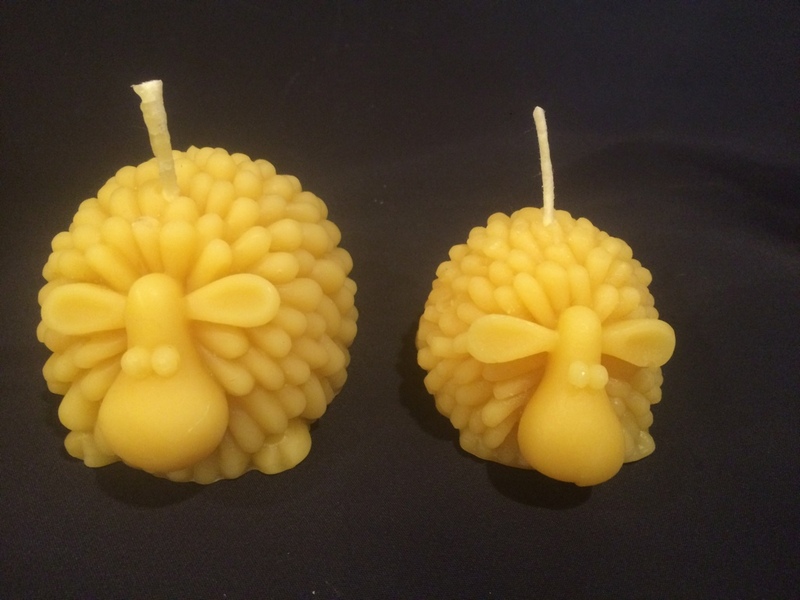 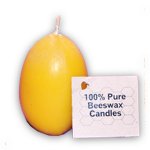 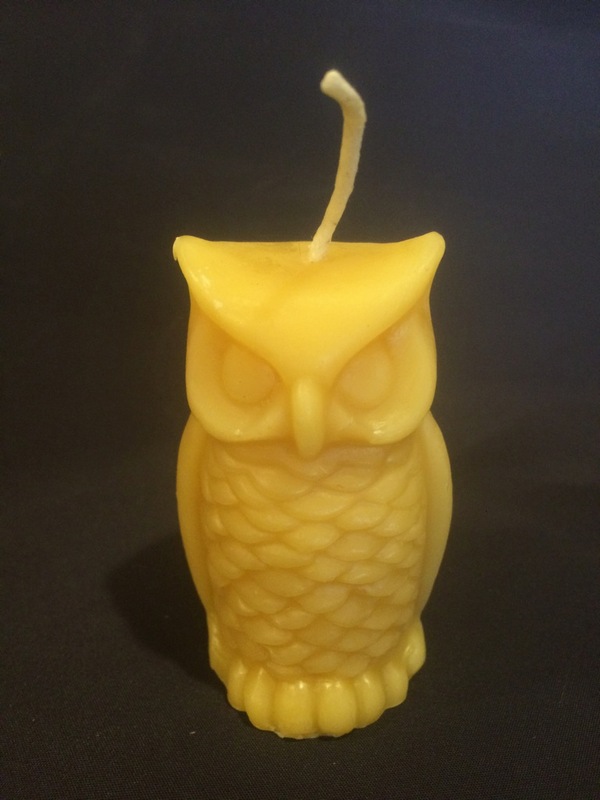 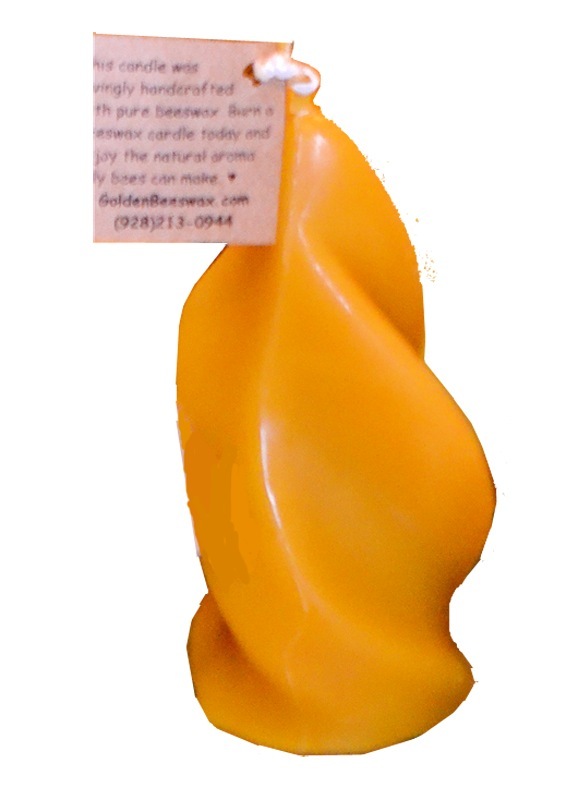 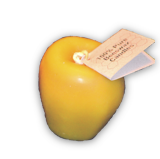 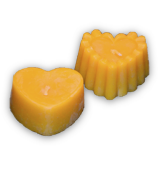 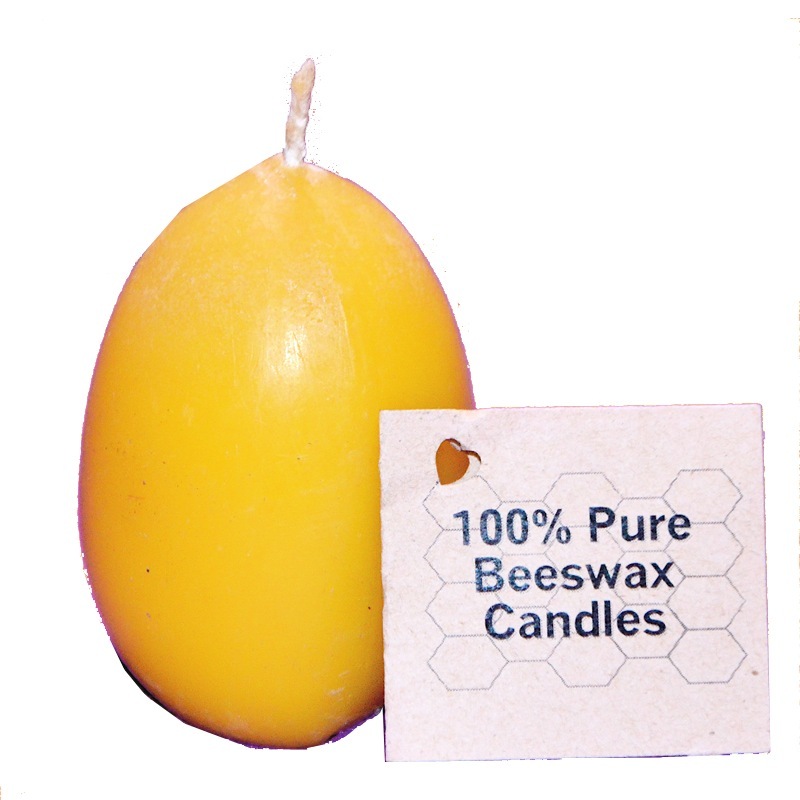 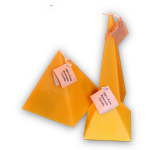 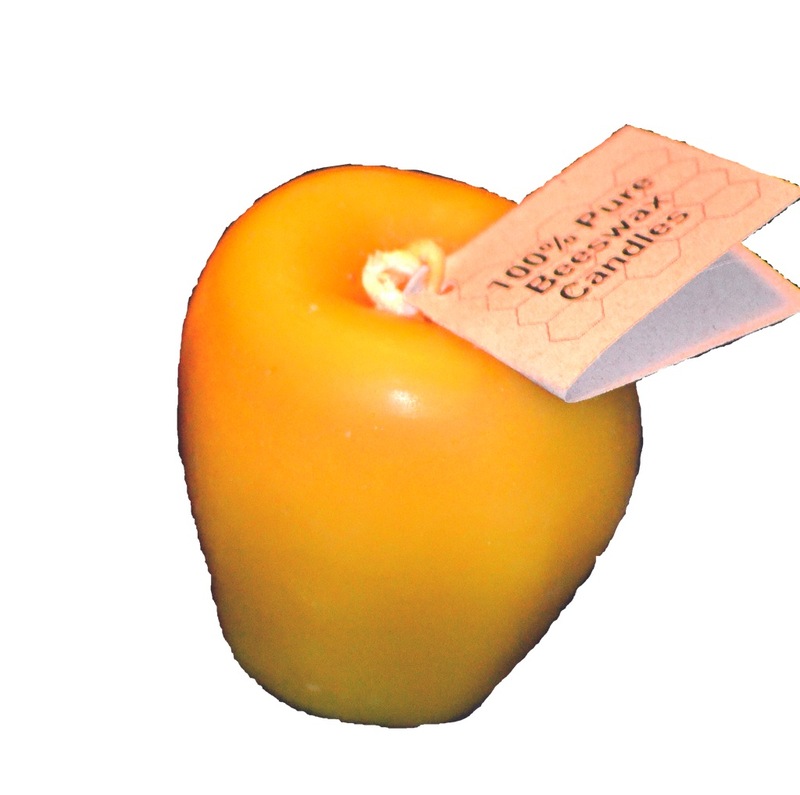 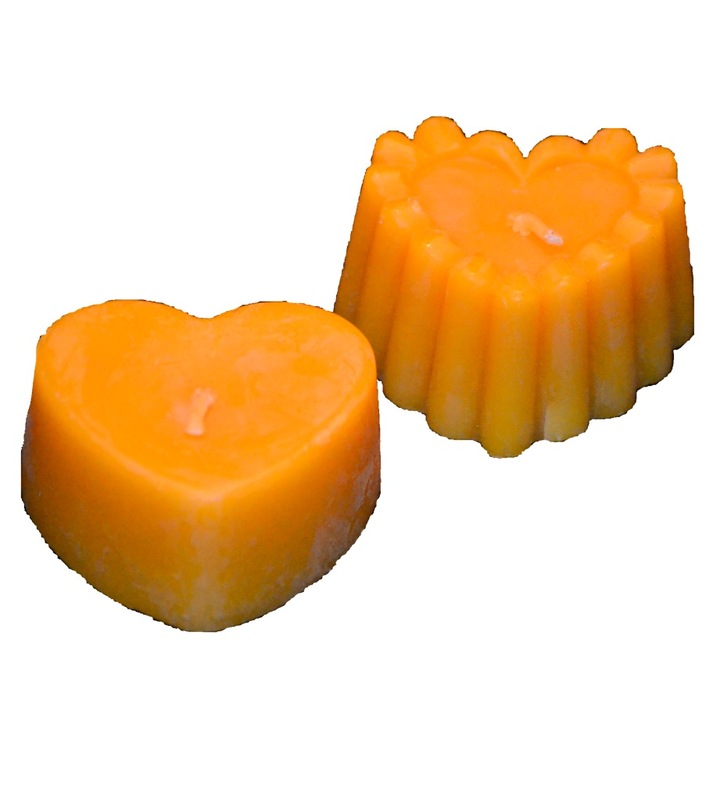 The medium is 3oz of wax and burns for about 15-20 hours. 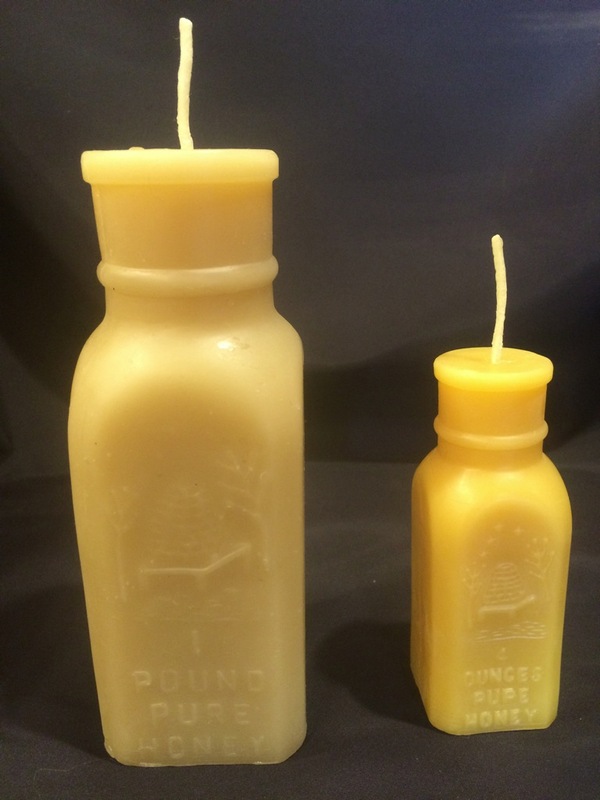 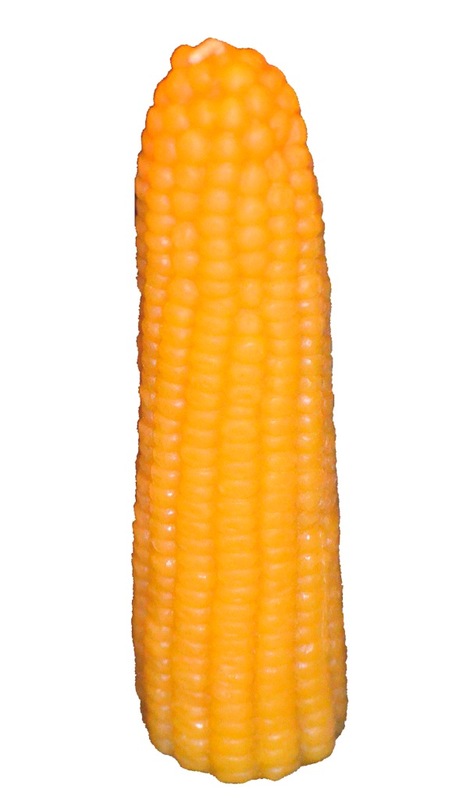 The small is 1oz and burns 8 to 10 hours. 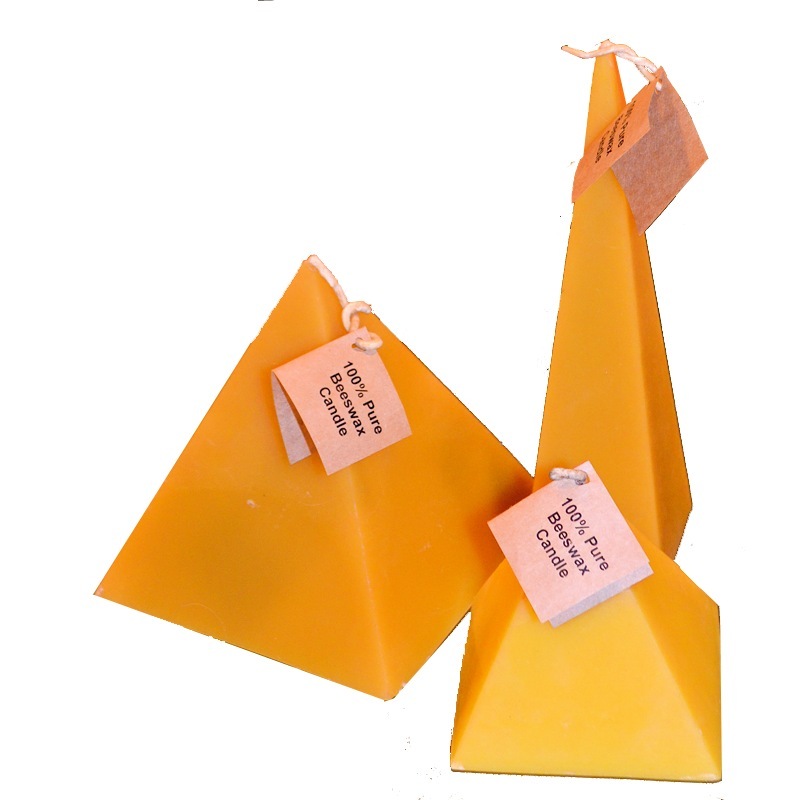 We carry 3 sizes of pyramids because we LOVE the way they burn. 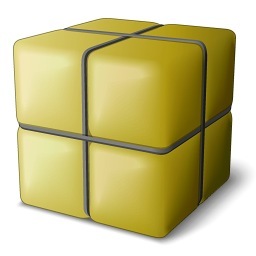 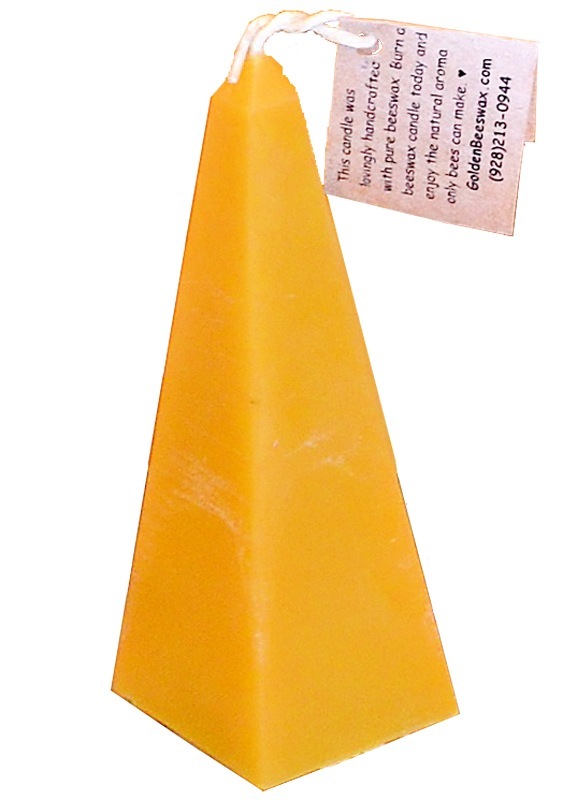 One size is tall and thin while the other two are exact pyramid size. 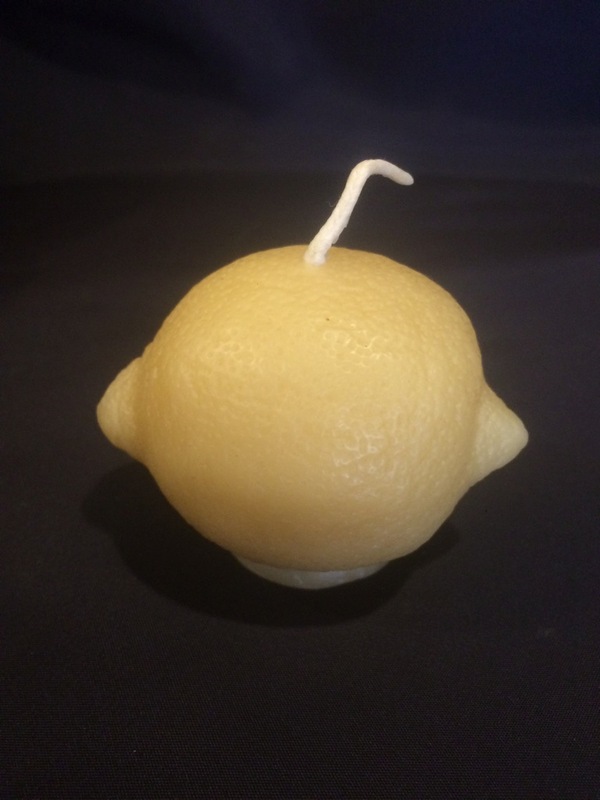 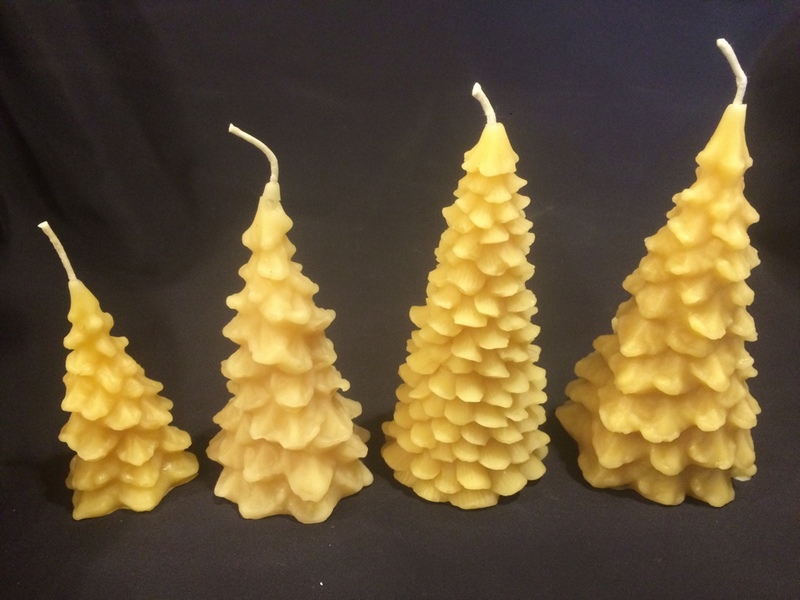 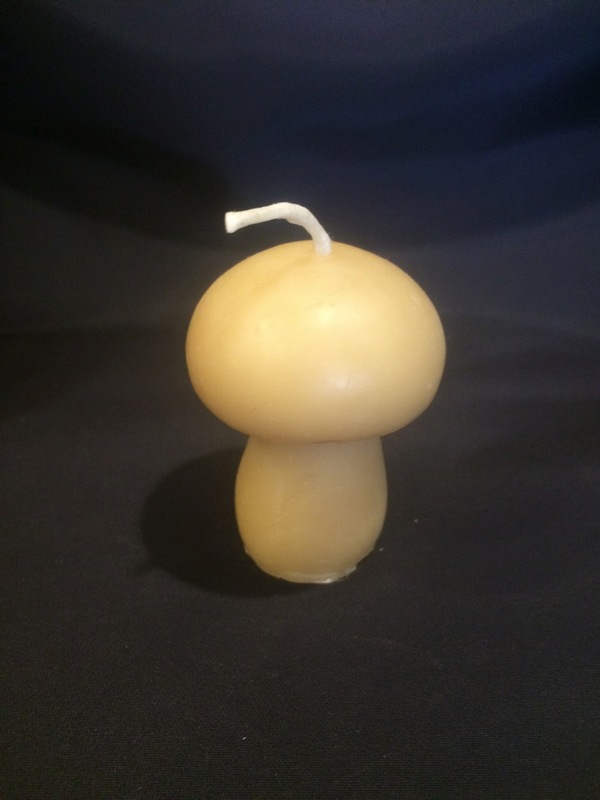 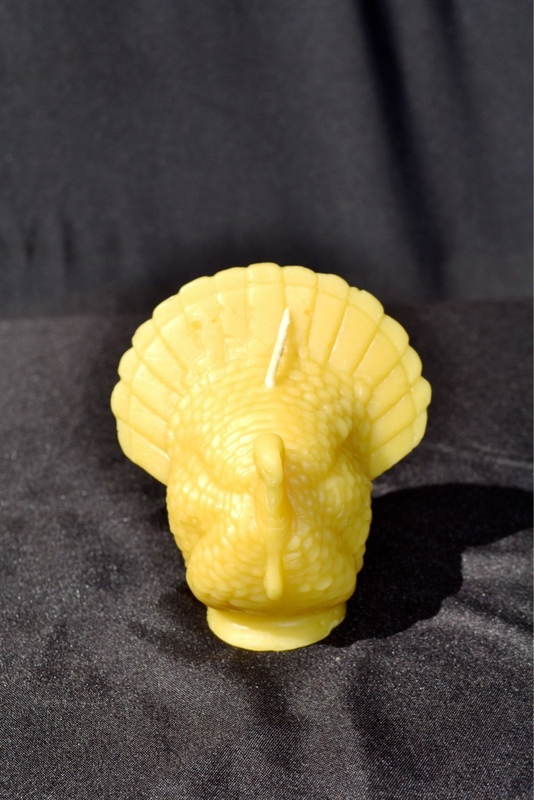 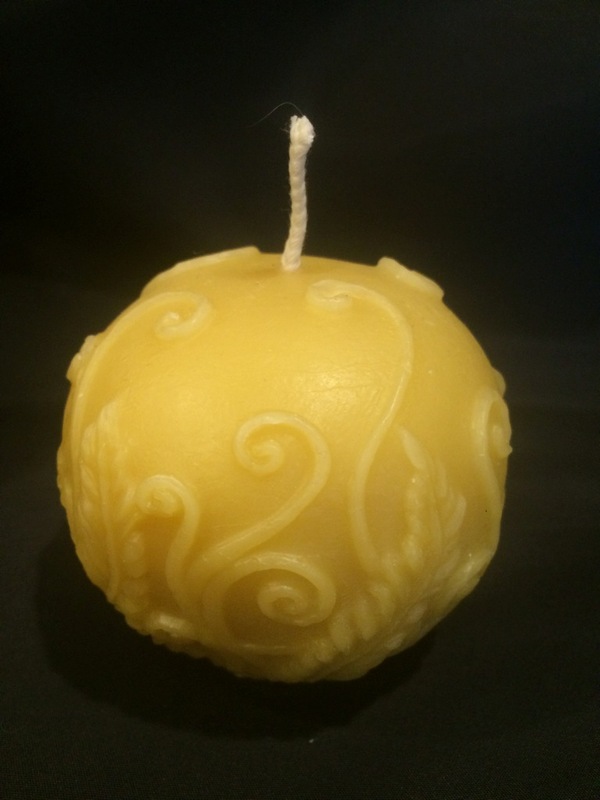 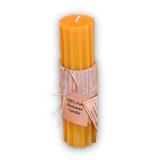 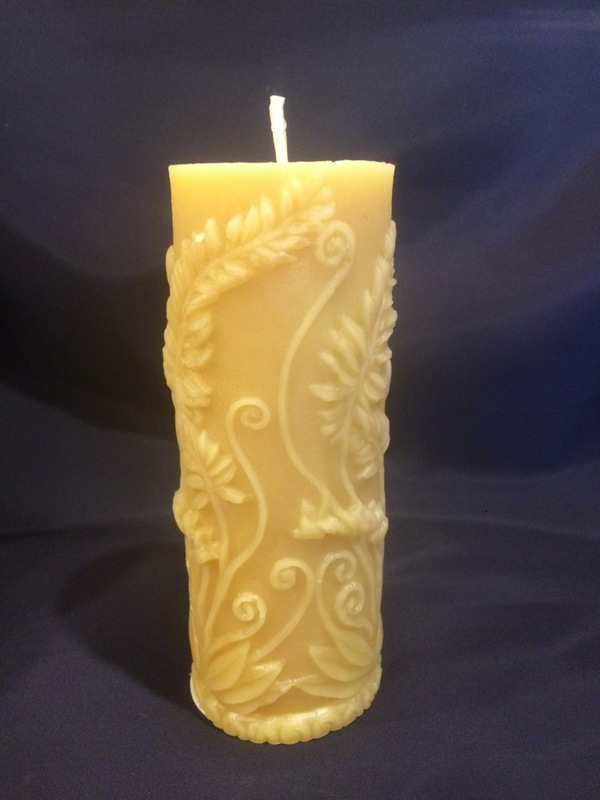 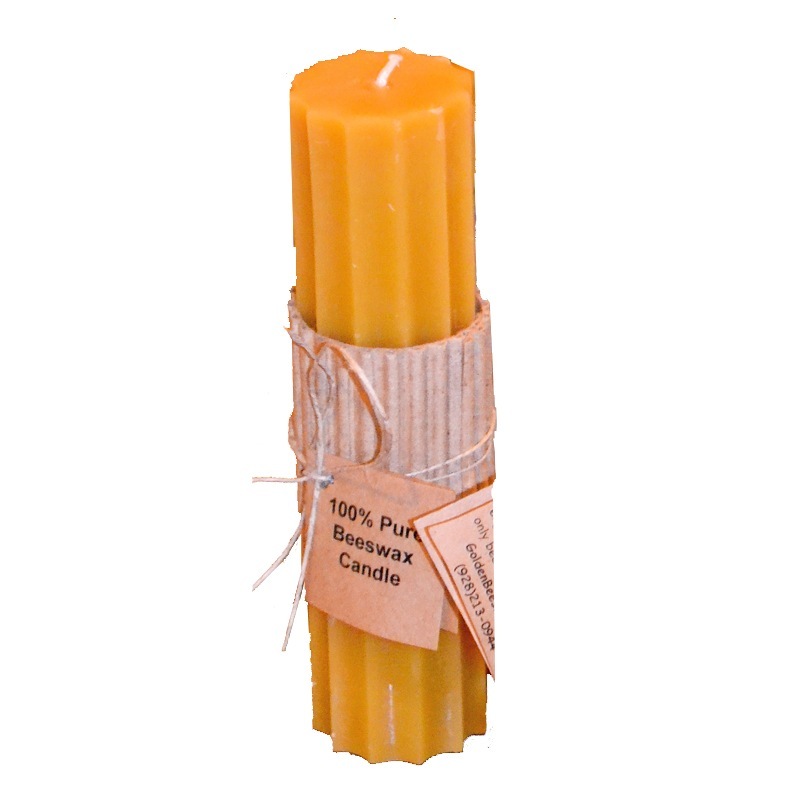 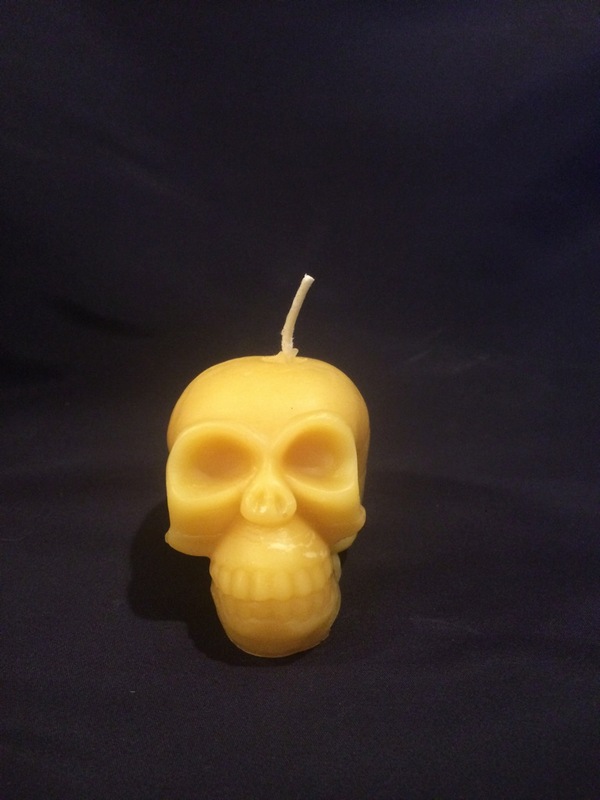 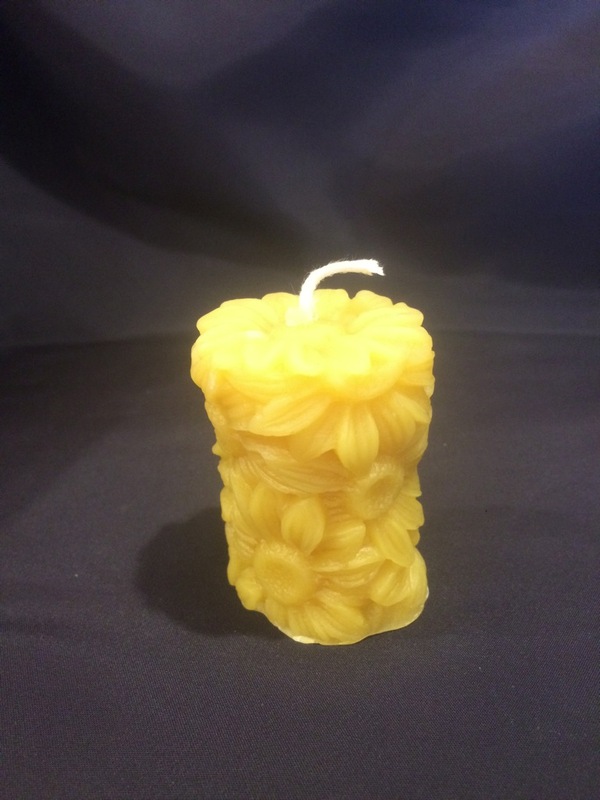 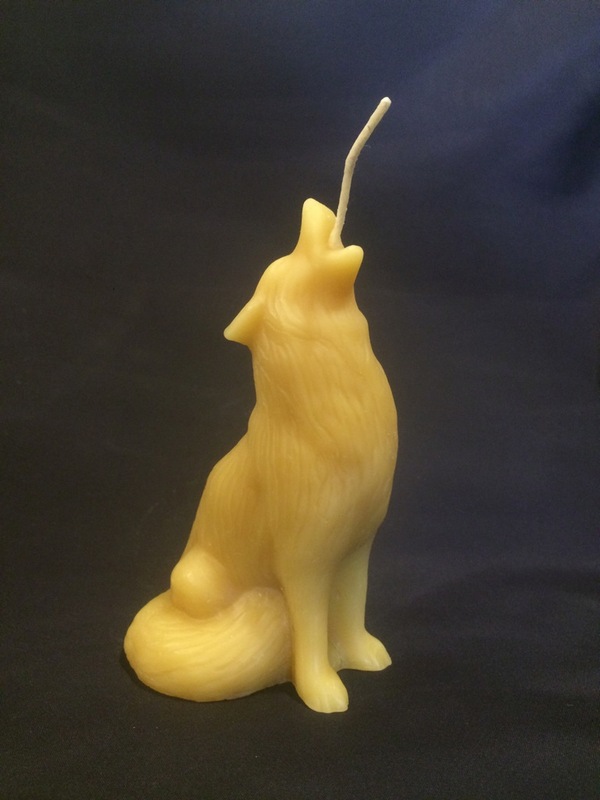 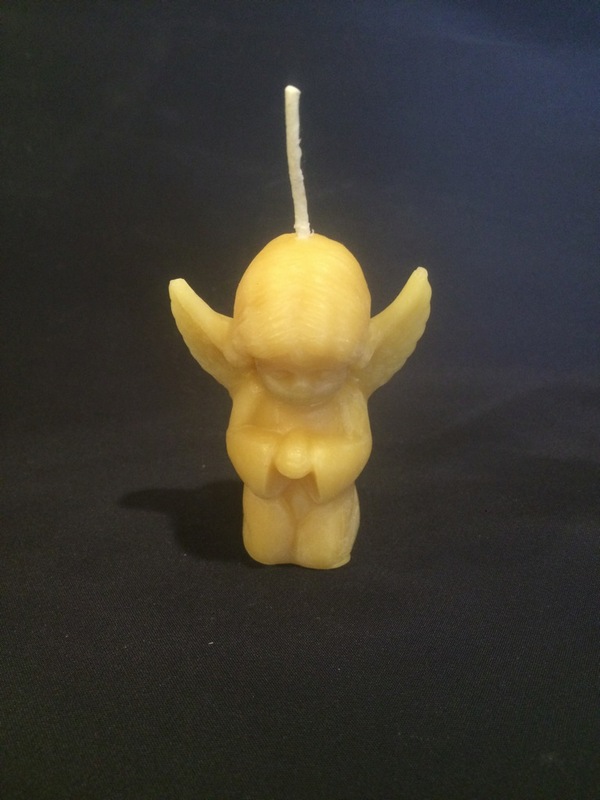 This elegant candle is 2.75” by 5.25” and weighs 6 ounces. 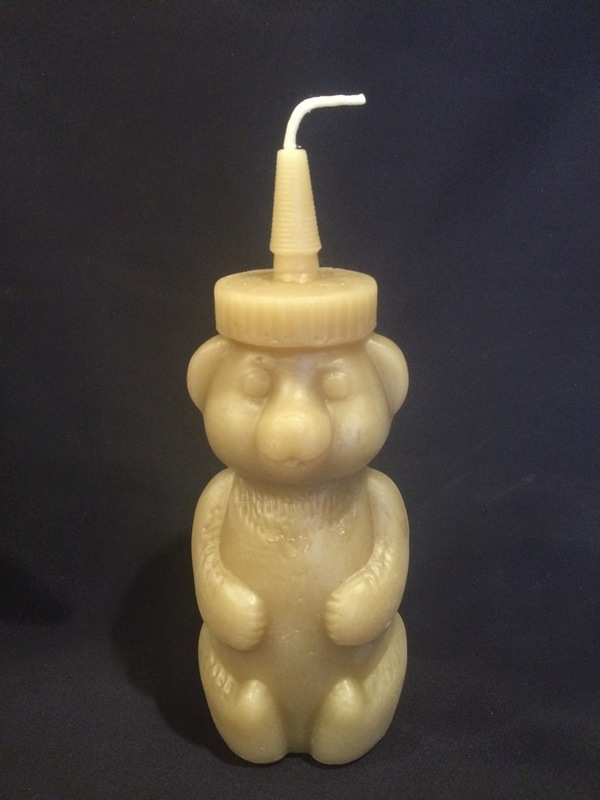 In the shape of the popular honey bear bottles.